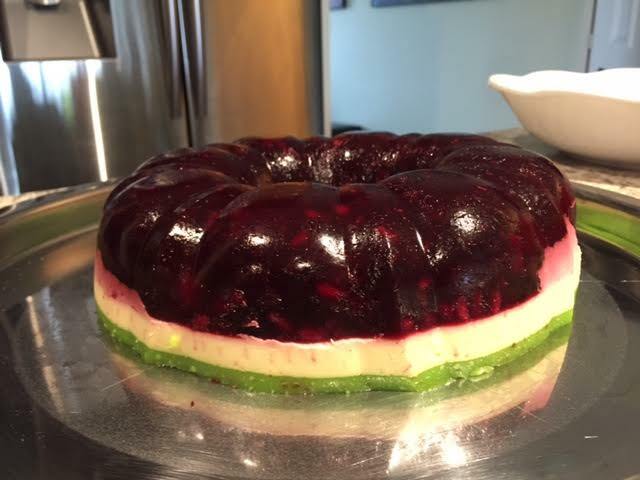 I have been trying to create dairy free dessert, and let me tell you, it is not an easy task. Everything you see around uses some kind of dairy on sweets. And on Rosh Hashanah and sukkot celebration if you’re going to serve meat products you need to prepared everything else Dairy free. 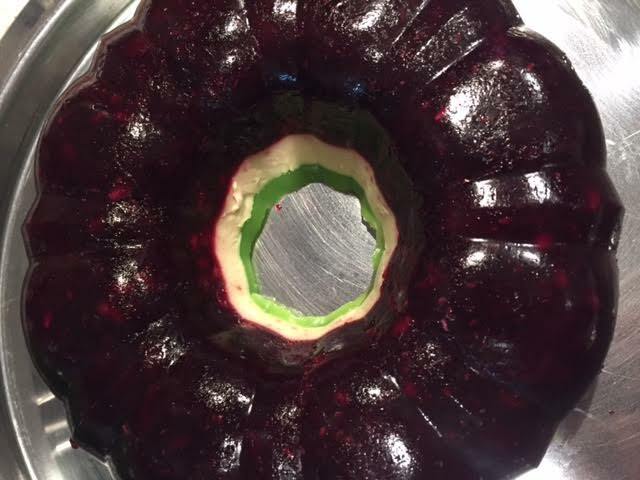 This recipe will take many hours, not because it is complex, but because we’re dealing with gelatin. It is a non expensive recipe, so on that part is good. 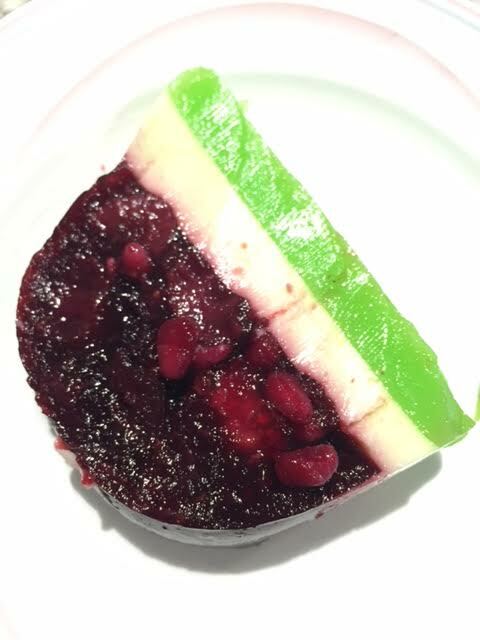 But It needs time, you can make in one single day or in 2 days, there is a chance to do on the freezer for 15 minutes each layer but it is more risky. I did not wanted to take a chance on this. 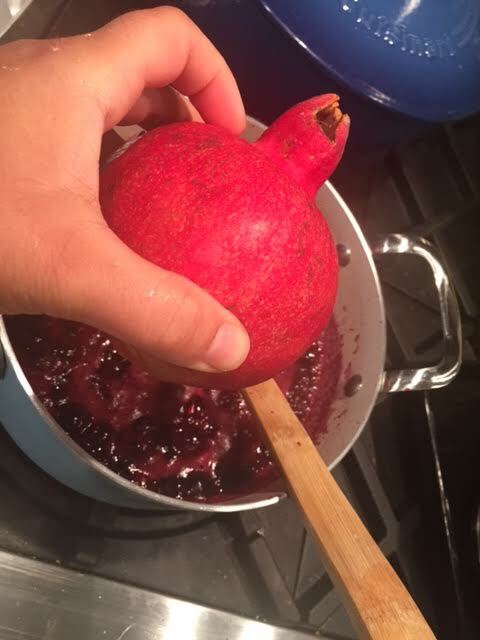 I wanted to use pomegranate in this Rosh Hashanah recipe because it is a symbol of righteousness in Jewish Tradition one reason to it because we know to have 613 seeds, which corresponds with the 613 mitzvot of the Torah. 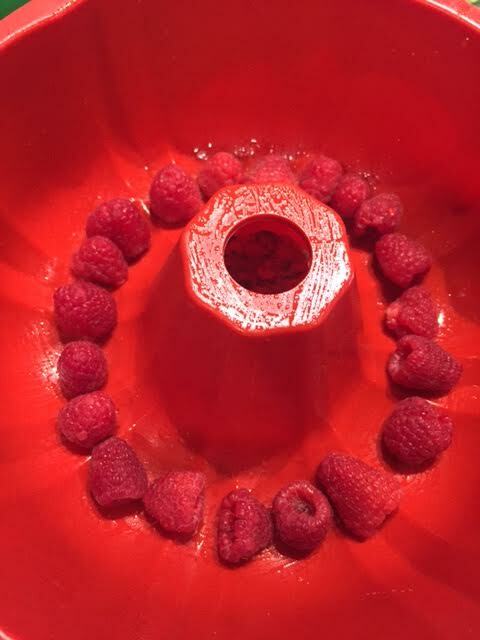 But it is a bit complicate to use pomegranate without the “seed” texture. 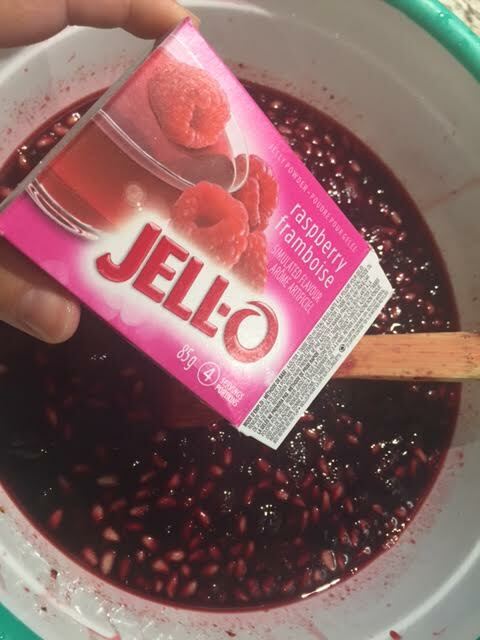 If you don’t mind to have a crunch texture to your Jello dessert than use it, if you want more smooth than remove it from this recipe. 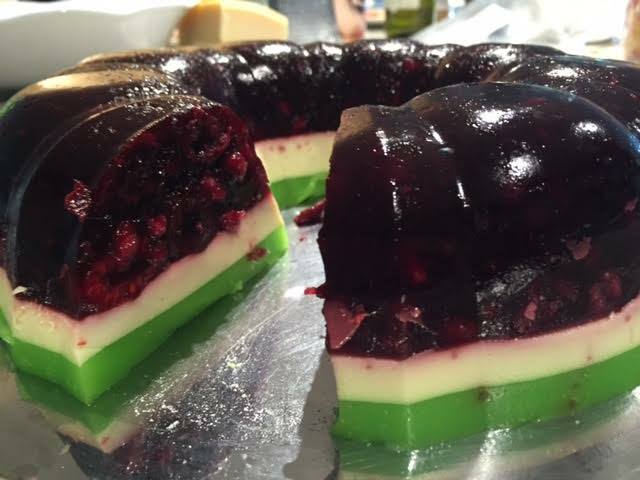 My recipe I did to be tricolor, But after tasting it I believe the berries layer was too thick so I added one extra layer of jello to this recipe to taste better. So here is the upgrade version of what a did even if you will see 3 layers on the pictures above. If you try it give me your opinion. in a medium pan combine the vanilla bean with sugar , cut the vanilla bean and try to remove the seed with a knife and leave the bean for adding flavor, we will remove it later. 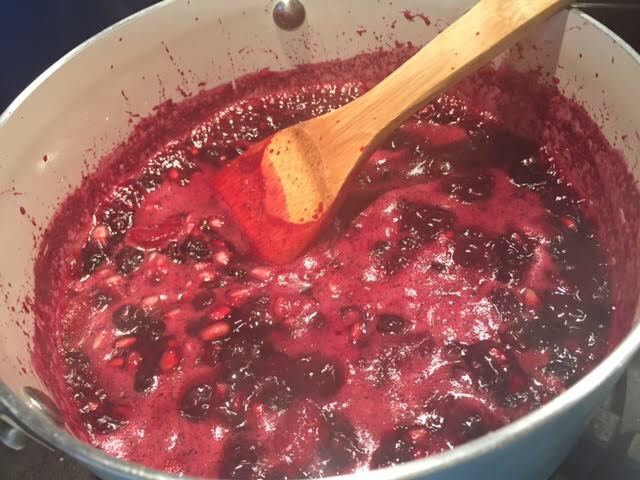 Mix well until melts the sugar than add the frozen berries. 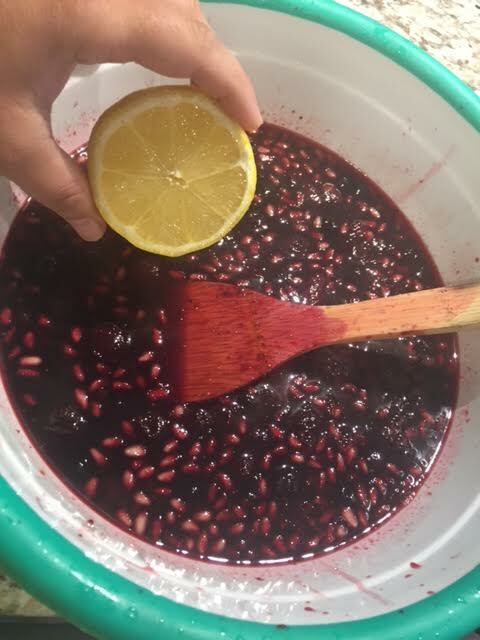 cook for about 15 min in low heat , add a bit of water to not get dry and add 1/2 pomegranate and cook extra 4 minutes , turn off the heat and add the lemon and remove the vanilla bean. 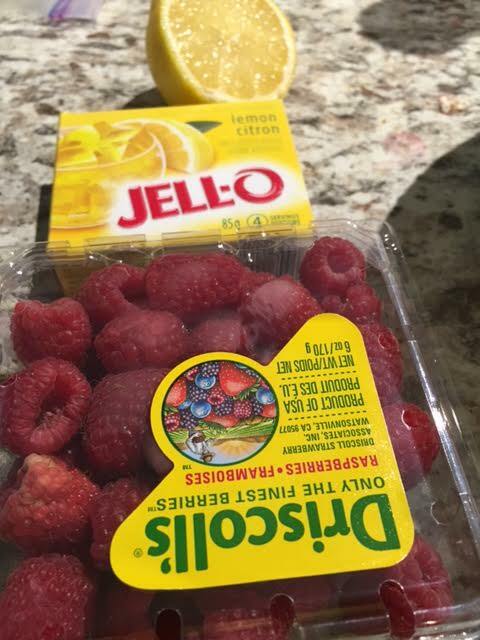 Than on side in 1/4 cup of room temperature water mix the Knox gelatin and add 1/3 of boiling water, add the mixture to the pan and in another bowl dissolve 1 package of raspberry gelatin in 150 ml of boiling water and mix well until mixed than add 1/2 of the package of fresh raspberry to the berry mixture. Wait to cool down a bit. Get the cake silicone mold, get a paper towel and use it to spread canola oil in every corner of the mold, no more than 1 table spoon. 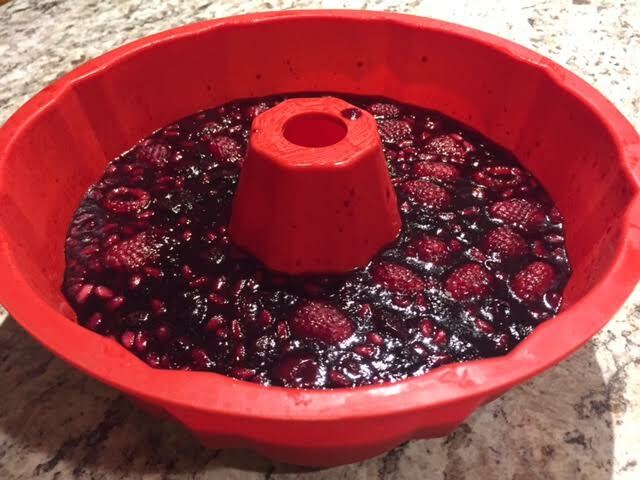 Add the room temperature berry mix to the mold, put in the fridge for 4 hours. 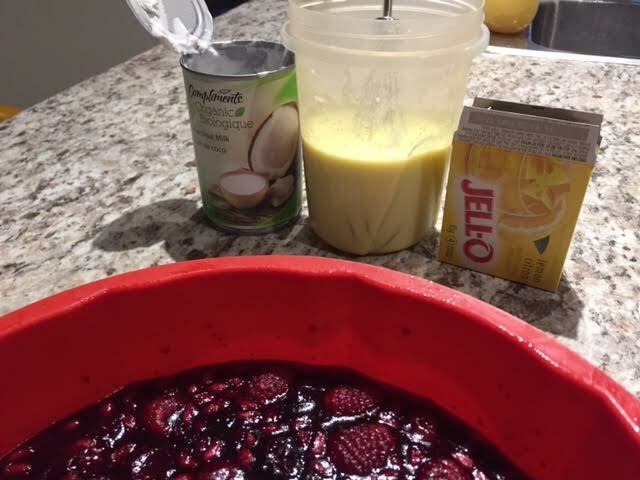 on the 3 hours and 1/2 mark mix 150 ml of boiling water with the lemon gelatin powder and mix well than add 1 cup of coconut milk, mix very well, you can use a mixer if you wish. Than remove from the fridge your silicone pan and add the liquid on top. put back on the fridge for 3 hours. 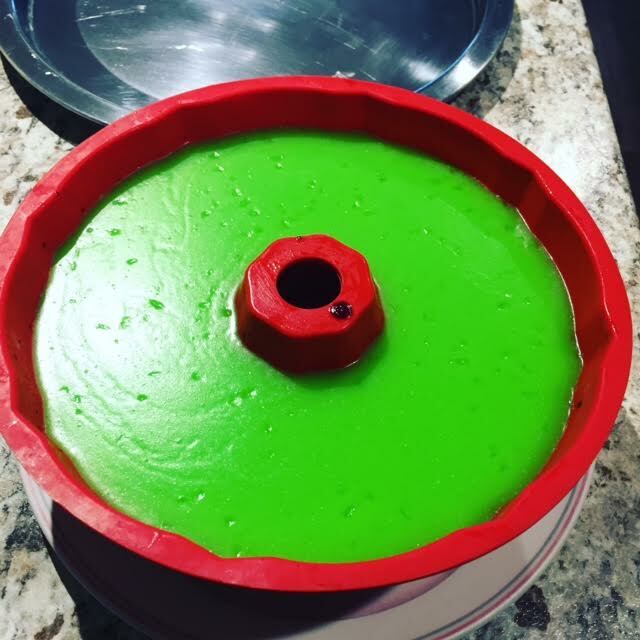 on the 2 hour and 1/2 mark dissolve the lime green gelatin powder in 150 ml of boiling water, than measure 1/2 cup of aloe vera drink and 1/2 coconut milk, mix well and put the liquid on the top layer of the silicone pan and put back on the fridge for 3 more hours. dissolve the powder in 150 ml of boiling water than add 150 ml of colder water than mix well. 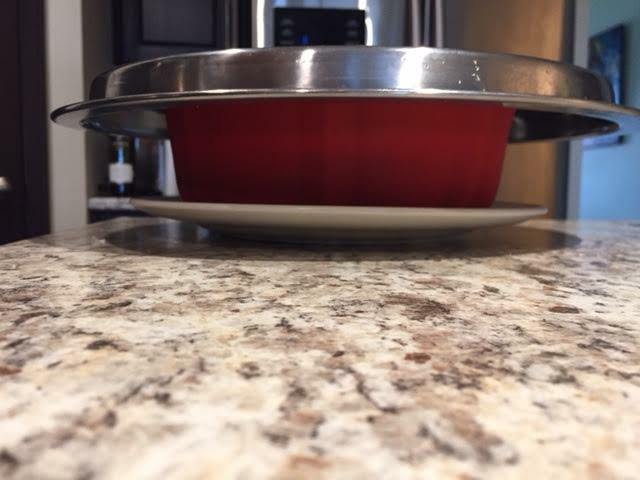 Add to the very top part of our silicone pan. Wait 4 more hours to remove it from the pan.